Update: We have released a free ebook about our workflow: Efficiency in Development Workflows. 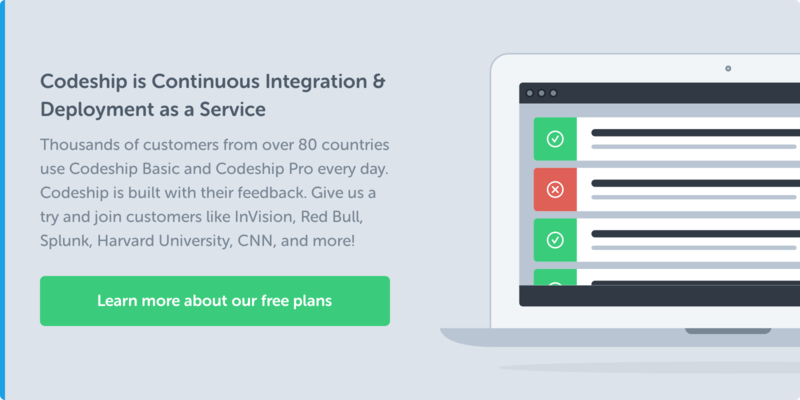 With this blog post we start a new series about how we work on the Codeship. Many people asked us how we develop features, about our workflow and which apps we use every day. This blogpost focuses on the software development workflow to implement a new feature. From branching away from master until it is ready for the pull request. The following blog posts will talk about our internal communication, how we do pull requests and code reviews and an in-depth look into our deployment strategy. We follow the GitHub-flow model of development (check out Scott Chacon’s article), so whenever we start a feature we create a feature or bug branch. Most of our team uses git-extras by visionmedia for this. Typically only one person works on one branch. If we need more people to work on a feature we break it down to the smallest possible chunk that one person can ship. For example consider one of our latest improvements: Ben, who joined us in July, implemented a first basic version that allowed to invite collaborators from Github. He worked on his own feature branch and had a simple UI that was ready to be shipped. After the feature passed the pull request and code review his changes were shipped. Then Alex created another feature branch from master and implemented the final user interface which makes it super easy to invite anyone to the Codeship who committed to the GitHub repository. Both committed and pushed regularly while still working on the feature. When a small piece is done we typically push it to Github to run our complete test suite. While Codeship runs all of the integration tests we keep working on the feature. This way we very quickly see if our changes broke any part of the application without running the full test suite locally. And breaking a feature branch is absolutely ok. We want our developers to push early and often and let the Codeship take care of the tests so they do not waste time. There are numerous advantages in shipping a minimum viable feature first. We keep waiting times between the developers to a minimum while still shipping improvements very quickly. Thereby we remove a lot of unnecessary communication. And we never run into any kind of merge problems when two developers work on the same feature. Of course there are challenges with this workflow. Sometimes features are shipped with the expectation that they are improved right afterwards, but something else needs immediate attention. This way the improvement can take a bit until it is shipped. Therefore getting that minimum viable feature right is very important. Big enough to be valuable, but small enough to be shipped fast and by a single person. We are very interested in your workflows, so please leave a comment how you are working on new features. 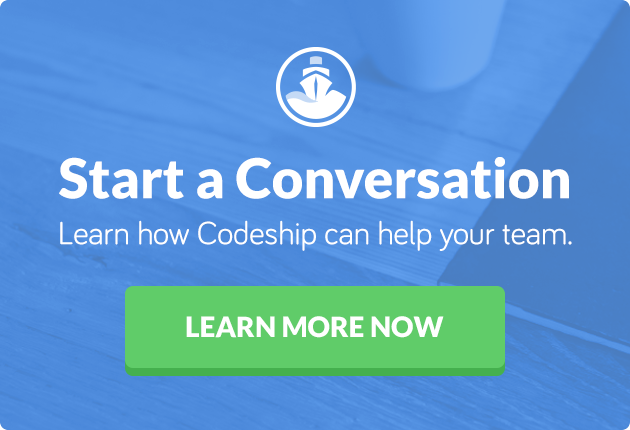 If you have any questions leave a comment, send us an in-app message or a tweet to @Codeship. Next time we will show you how we go from code to pull request, code review and then merge into master. You can read part 2 here.